Laxmi Mall Singhvi, a name that is familiar to almost every one. This renowned jurist is an inspiration for every youth who strives towards bringing the change. 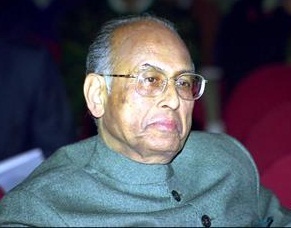 Laxmi Mall Singhvi is an out-standing and among the eminent barristers, parliamentarian, writer and a diplomat who was born in a Marwari Family. Laxmi graduated from the Harvard and Cornell University. Laxmi was married at a young age to Kamla. His wife became a prominent writer and gave world marvelously beautiful work in both Hindi and English. This great and eminent barrister was felicitated with a Padma Bhushan. Laxmi began his career as a lawyer by being a part of the legal practices at the session and trial courts of Jodhpur. Laxmi worked as an advocate in the beginning of his career. During the early 1950’s Laxmi stood against the social transformation mission lead by Jawaharlal Nehru. His opposition to the robust and strong Congress party made him an important figure in the Indian politics. This eminent barrister then contested and won the parliament elections from Jodhpur in 1962. He appeared for the elections as an independent candidate. Laxmi made many major revolutions in his 5 year MP tenure. Laxmi after this was named the Advocate general of Rajasthan from the time period of 1972 to 1977. Due to his marvelous and tremendous work, Laxmi was given the designation of the Senior Advocate of Supreme Court. Laxmi was appointed as the High Commissioner to the Court of St. James, UK by the then Prime Minister PV Narasimha Rao. Laxmi served in the office till 1997. Laxmi is the second longest serving High Commissioner of India. Laxmi came back to India in the year 1997 and officially became part of the Bhartiya Janta Party. He was then selected as an MP for Rajya Sabha in 1998. Laxmi was not only an out of the box and eminent barrister and a diplomat but he was also an amazing writer. His writing skills were not just marvelous but proved to be an inspiration for the people. Laxmi was a prominent part of the Permanent Court of Arbitration at Hague. He also served as the President for the Indira Gandhi National Center of Arts. Laxmi through his prolific and simple writings wanted to bring change in the world. Most of his work was focused on the nature and the Jain sculptures. For his tremendous versatility and mind-blowing work, he has been felicitated and honored with a lot of awards like; The Padma Bhushan, honorary degree in LLD by the University of Buckingham. Dr. A P J Abdul Kalam delivered the first L. M. Singhvi memorial lecture held by the Supreme Court of India in the year 2009. The University of Cambridge and The University of Wales have honored this renowned jurist by giving a Dr. L. M. Singhvi fellowship every year. The National Law University of Jodhpur is named after this magnificent and eminent barrister. Laxmi made a unique place for himself in the world because this man always followed his heart. It takes lots of courage to stand against the system and reform it. Laxmi not only opposed the social modernization lead by the Congress party but also gave people the courage to stand out of the crowd. He proved that leaders do not follow, they lead.